PARASA KOTESWARARAO Vs. EEDE SREE HARI and ORS. Respondent: EEDE SREE HARI and ORS. 1) The present case involves a gruesome murder. The head was actually decapitated from the body, was put into a gunny sack, and thrown into a canal roughly 10 kms. away from the place of the murder. All this is supposed to have taken place on 15.12.2000, and suffice it to say that the Court of Sessions outlined a large number of points, all of which can be placed under five heads, namely, i) the motive for killing the deceased; ii) last seen theory; iii) recovery of the dead body in a gunny sack together with clothes and a knife; iv) the fact that the two accused persons, who were stated to be brothers, were absconding after the incident and v) the fact that Accused No.2 gave false information to PW-1, who is the father of the deceased, as to the whereabouts of the deceased. 2) The Sessions Court, on a combination of the aforesaid five factors, ultimately held the two accused guilty of murder and sentenced them to imprisonment for life. 3) In appeal to the High Court of Judicature, Andhra Pradesh at Hyderabad, the Division Bench of the High Court found that the case being one of circumstantial evidence, the chain is not complete; all that remains is suspicion which cannot take the place of proof beyond reasonable doubt. Accordingly, the High Court acquitted the two accused. Being aggrieved, the Complainant preferred this appeal, by way of special leave. 4) We have heard Mr. D. Bharat Kumar, the learned counsel appearing for the appellant-Complainant and Mr. Tushar G. Rao, learned counsel appearing for the accused/Respondent Nos. 1 and 2 at considerable length. 5) It is the case of the Complainant that motive has clearly been made out by atleast three witnesses, the last seen theory has been made out, recovery has been effected, the two accused persons have been found absconding and the false information given cumulatively would complete the chain of circumstances inevitably pointing to the two accused having committed the crime. 6) Learned counsel appearing for the appellant-Complainant also cited before us three judgments of this Court, two of which deal with the last seen theory and the third a recent concurring judgment by one of us, namely, R.F. Nariman, J., in Crl. Appeal No. 1792/2013 (P. Eknath vs. Y. Amaranatha Reddy @ Babu & Anr. ), in which it has been found that the High Court has ignored vital pieces of evidence. 7) The learned counsel appearing for the respondents, on the other hand, took us through the evidence and, according to him, no motive can be made out for the reason that PW-5, who is the only witness competent to speak of motive has been declared hostile and, in fact states that there were no illicit relations between the lady concerned and the deceased. 8) He also states that the last seen theory cannot be said to be established in the present case inasmuch as PW-1, who is the only witness relied upon by the Sessions Court, has not, in fact, seen the accused together with the deceased but was told this by his brother who is PW-3, who, in turn, has not been a credible witness. 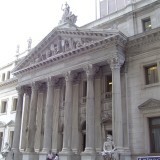 Thirdly, according to the learned counsel, the extra judicial confession made to PWs 6 and 7 must be discarded against the accused as PW-6 is a stock witness who has dealt with 25 cases on his own admission, and the so-called extra judicial confession was made in the Police Station itself. 9) Equally, so far as PW-7 is concerned, he also appears to be a stock witness and cannot be believed. This being the case, even though recovery may have taken place, there is nothing whatsoever connecting the recovery to the two accused who were said to have committed the offence. Also, according to him, the mere fact that the two accused may have been absconding cannot by itself take the matter very far. Neither can the fact that false information was given as to the whereabouts of the deceased by accused No.2 to PW-1. 10) Having heard the learned counsel appearing for the parties, we are of the view that it is very difficult for us to characterize the High Court judgment as perverse. Also, being an appeal against acquittal, it is equally difficult for us to say that this is not a possible view. 11) In our opinion, it seems that the motive for the crime has not been sufficiently made out. Indeed, the Sessions Court itself disbelieved a number of witnesses, and the very fact that PWs 1,2 and 4 were told about the so-called illicit relationship either immediately after the crime was committed or at that time would lend credence to what is stated by learned counsel for the respondents. Further, it cannot be forgotten that PW-5, who was a witness, being a person who lived 80 ft. away from the house of the deceased, turned hostile and maintained his view that there was, in fact, nothing illicit between the deceased and the lady concerned. Motive, therefore, has not been proved beyond reasonable doubt. 12) The same goes for the last seen theory. PW-1, who alone is relied upon by the Sessions Court for this again only states that he has heard PW- 3 telling him about the accused being last seen with the deceased. This also would be in the realm of hearsay, and “last seen” also cannot be said to be made out. 13) Learned counsel appearing for the respondents is also correct in stating that though recovery may have taken place, the extra judicial confessions to PWs 6 and 7, in any case being weak evidence, cannot be relied upon in the facts and circumstances of the case. 14) According to us, it does seem that PW-6 is a stock witness and the fact that the confession was made at the Police Station renders it inadmissible in evidence. PW-7 also cannot be believed for the reason that it is very difficult to subscribe to the fact that the dead body was dragged for 10 kms. to a canal, when it has been stated, in cross- examination, that another canal exists very close to the scene of the occurrence of the incident. Also, we must not forget that the cycle which was stated to have been ridden by the accused, by which they carried the dead body, has not been recovered. All these factors clearly go to show that ultimately, despite recovery, it is very difficult to pin-point recovery to the accused having committed the crime. It also cannot be forgotten that the FSL Report has disclosed before us that no blood was found on any of the recovered materials, whereas blood was stated to have been both on the knife as well as on mud, grass etc. 15) This, being the case, the mere fact that the two accused may have absconded immediately and the fact that false information may have been given about the whereabouts of the deceased are not enough to complete the chain of circumstances, in a case like the present one. 16) It only remains for us to deal with the three judgments cited by the learned counsel appearing for the appellant. 17) In Ashok vs. State of Maharashtra, (2015) 4 SCC 393, in the case of last seen, the prosecution is exempted from proving the exact happening of the incident as the accused himself would have special knowledge of such incident. The said judgment obviously does not apply to the present case inasmuch as last seen itself has not been proved. 18) Another judgment in Mohibur Rahman and Another vs. State of Assam, (2002) 6 SCC 715, was cited for the proposition that three circumstances taken together, including last seen, would inevitably point to the accused having committed the crime. This case also does not apply on facts as we have pointed out that neither motive nor last seen nor the extra judicial confessions pursuant to which recovery has taken place have been proved beyond reasonable doubt on the facts of the present case. 19) A recent concurring judgment by one of us (R.F. Nariman, J.) was also referred to. 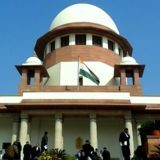 That case also dealt with a completely different fact- situation in which it was found that there were at least eight factors which led this Court to set aside the judgment passed by the Division Bench of the Andhra Pradesh High Court, on the ground that cumulatively all eight factors would lead to the conclusion that the High Court judgment was perverse. 20) We have already stated that it is impossible for us on the fact situation in the present case to characterize the present judgment as such. 21) Accordingly, the appeal is dismissed. ……………………J (MOHAN M. SHANTANAGOUDAR) NEW DELHI; February 28, 2017.